A drug-crazed chaplain who stormed into a bank and punched two female members of staff was spared jail. Holy man Kochita Petros, 44, was injured in the struggle at the HSBC and spat blood into a police officer’s face when he tried to arrest him. Petros, 44, had arranged to visit the HSBC on Oxford Street with Father Paul Roach after he claimed he had problems with his accounts. But Petros, who is an ethnic chaplain in the Archdiocese of Southwark, wandered off without him to the Oxford Street branch and began hurling insults at staff. Staff members Christine Giddens and Toye Solanke tried to calm him down but Petros punched them both and attacked employee Robert Goodwin who tried to intervene. PC Tim Copsley arrived at the scene and told how Petros lunged at him, punching him in the face. ‘I felt immediate pain in my eye,’ he said. ‘My vision was fuzzy with the shock of it. PC Copsey said that he is fine now ‘thankfully’ no long-lasting injuries but he had required blood tests. Tests on Petros showed he had taken mind-bending metamphetamines, but he said he could not remember how the drug got into his body. Petros arrived in the UK in 2007 with a view to helping Ethiopians in the community. He studied philosophy at University College London and did a business course at the Metropolitan University, the court heard. Father Roach told the court Petros wants to return to Ethiopa. Before the incident Petros had frequently visited hospitals and prisons as part of his work, he said. Father Roach said the incident was completely out of character and ‘absolutely not the Petros I know’. He met Petros in August 2011 and since they have known each other they usually have breakfast together every day. Michael Polak, defending, said it certainly was a ‘strange drug’ to try for a one-off. ‘He is very sorry,’ he said. ‘It is in complete contrast to his life-long mission as a priest. District Judge Zani said: ‘My view is that the custody threshold has been passed. ‘It is not as if this is a community penalty. ‘This is serious. This is unpleasant. ‘This is a bizarre set of actions by you. ‘And there are a number of question marks which I do not think you can answer. ‘You have said it quite accurately that it was you but it was not you. ‘The key appears to be the methamphetamine. ‘That doesn’t just happen when you sit down having a cup of tea. ‘You were found guilty after trial. ‘These actions deserves imprisonment, however, in my view this was completely out of character. ‘You are a man of no previous convictions who devotes himself to the care of others. Petros was given an eight-week jail sentence suspended for two years. The priest was also ordered to pay each victim £250, £620 costs and a victim surcharge of £115. 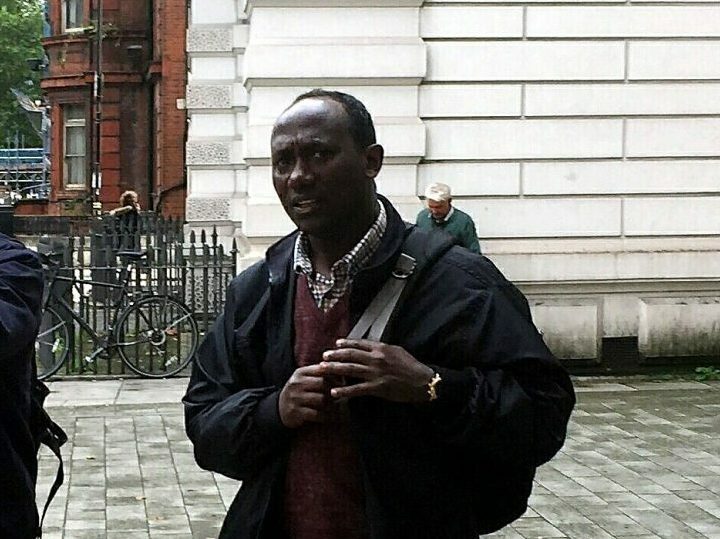 Petros, of Palace Court, City of Westminster, denied but was found guilty of one count of assaulting an officer in the execution of his duty, two counts of assault by beating, one count of common assault and one count of causing damage to property.